The pre-registration ends on June 30th and the completed application to be sent by 1st Sept.
Georgetown Festival, held at GeorgeTown, Penang, Malaysia, is an annual festival of culture, music, dance, film, arts, food and more since 2010 to celebrate the listing of George Town as a UNESCO World Heritage Site. This year, they will host a new projection mapping on the Penang City Hall on the 13th and 14th July, 2019. They are looking for any interested people to send them a portfolio for a reimagination of its façade! Feel free to contact wearefilamen@gmail.com if you have any questions. At Notre Dame Cathedral in Montreal (Canada), home of the world’s leading manufacturer of digital audio and visual works, you can enjoy a 20 minute projection mapping called AURA. 20, 2017, but they said it is “the most complex mapping project”. sound and video, then composition request of original music is performed, and radio Canada Orchestra plays and records etc. Finally, the perfect ensemble that sounds, images and locations weave is created as AURA. Projection mapping is a screening of limited days, twice a day (nighttime). If you travel to Canada, especially to Quebec province, the eastern part of Canada, the work of Moment Factory is a must-see. Niio is launching Art Asia Awards 2019 to recognize excellence in video and media art. This open call are open to all established and emerging artists, including recent art graduates and students around the world. The theme is Animated Nature. Shortlisted finalists will be invited to showcase their work in the Niio’s 2019 catalogue, and their art will be available for limited edition purchases, loans and subscriptions. Selected works will be installed in a rotating international exhibition and will earn an opportunity to display their works commercially at screenings. There will be 1 winner, 1 runner-up and 3 merits, where the 1st place winner will receive $4,000 plus a Niio 4k Art Player. ・Artworks are to be submitted only through the Niio platform. ・Applicants can submit up to 5 artworks. ・Each work must be a video / animation, up to 15 minutes in length. The deadline is May 15th, 2019.
sunflowers, and Starry Night, are introduced, and you can witness Van Gogh’s intense life as an artist. The 4th edition of the Festival Luz and Vanguardias of Salamanca will be held from June 13th to 16th, 2019 in Salamanca, Spain, with a international videomapping contest which will be projected on the baroque facade of the TownHall of Salamanca located in the Plaza Mayor of the city. The venue is considered the heart of Salamanca and is widely regarded as one of the most beautiful plazas in Spain. The application deadline for the low resolution is May 13th, 2019. As for the prizes, there will be two awards: the jury award of 15,000€ and an audience award of 3,000€. “Skopje Light Art District 2019” will be held at Skopje, Macedonia from May 29th to June 1st, 2019. This is the second edition of the festival and the motto is “Follow the Path”. 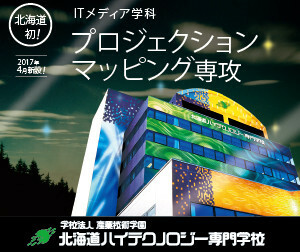 There will be a video mapping contest which will be projected on the “MCM” building. All applicants must have at least 2:00 minutes of content at the time of the festival. The applicants that will be selected to participate in the contest will receive an entry prize and the winner will receive the grand prize. The deadline for the call is April 7th, 2019. Ted Davis, the AR wunderkind Johanna Jaskowska, and the Swiss web designer Leander Herzog. Check the HP for details and registration. The open call for 『Genius Loci Weimar』has started. 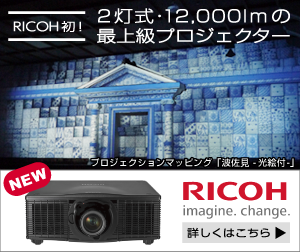 This is a projection mapping competition which will be held on the 9th-11th, August 2019 at Weimar Germany. This year, the 3 location chosen are the Deutsches National Theater, Neues Bauhaus-Museum, and Mon Ami. You can submit ideas for all three location or even multiple ideas for one location. One work will chosen for each building, where each winner will receive 15,000 euro to create a video of 10-15 minutes to be projected on the buildings during the festival. The deadline is on the 7th April. Zsolnay Festival of Light will be held from June 27-30, 2019 at Pecs, Hungary. During this festival, there will be a mapping competition on the Pecs Cathedral which will be displayed on June 28th-30th. This cathedral is an impressive building with towering towers on all sides. The dateline to submit for the competition is April 8th and the theme is Pure Light. 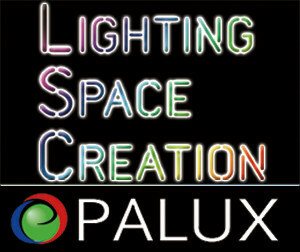 Light Up Festival, an international video mapping competition will be held at Palas, Lasi, Romania on the 8th June 2019. The theme for this year is “Future is Now”. There is a open call where the deadline is on April 5th, 2019. MIRA Digital Arts Festival and HANGAR.org join forces to create a series of residencies focused on the creation of immersive content in 360º format for domes and planetariums. The month-long residency will take place during October 2019 and is intended for participants with experience. The term for submitting applications ends on 23 March 2019. The work will be presented at the MIRA Festival on the 7th-9th November 2019. Lumo Light Festival will be held from Nov 22th-24th, 2019 at Oulu, Finland. The theme for 2019 is OUR NATURE. The festival is calling for content that delves into the nature around us, or into the human nature in a way that provides and provokes powerful visual and emotional experiences. Lumo is a multi-disciplinary arts festival, looking for light-utilising content from different fields, like music, dance, theatre, installations, and workshops. The dateline for submission of proposal is Mar 25th, 2019. NOVI LIGHT SENSATION is the great Festival della Luce of the Province of Alessandria. It will be held on May 3-4th, 2019 at Piedmont, Italy. 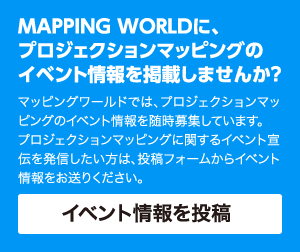 There is a contest and of the category is video mapping. There are other categories as well, so have a look at the website! FullDome Festival is the oldest and is one of the biggest full dome festival with an unbroken continuity for 11 years held at Zeiss-Planetarium Jena, Germany. This year it will be held from May 22 – 25, 2019. Visitors will be able to see and evaluate a great variety of international full dome films, meet professional, student and independent producers and take part in paper sessions, workshops, diverse presentations and expert talks. Don’t miss this opportunity to show your works on a 360-degree full dome! Visualia, founded in 2013, is the very first festival of light and new media in Croatia, and today it is becoming one of the major cultural events Pula and Istria with over 15,000 visitors during its three-day duration period. This year it will be held from Sept 19th-21st with the slogan “A different kind of innovation”. The theme is “Color Spectrum” and the dateline is on the March 31st, 2019. Open call for Light. Move. Festival. in Poland, one of the biggest light festivals in Europe! The theme of the 9th festival is SPACE. Before submission please see Files to download and the map of the festival area (Call for concepts purpose only). The deadline is the 15th of March. Why do not you try challenging? Please check HP for details. LPM 2019 Rome offers a unique opportunity to participate in 4 days packed with over 150 activities of audiovisual performances, workshops and showcases etc. by artists, professionals and enthusiasts from 40 countries. The program aims to explore a variety of themes through new audiovisual languages, techniques and software. The 20th edition of LPM is set to happen from the May 2nd – 5th, 2019 at Mattatoio, Rome, Italy. At the same time, there is a call for participation for anyone who is interested in doing AV performances, workshops and lectures, AV installations or a live mapping contest. The dateline is April 18th, 2019. Don’t miss out this opportunity!! The Prix Ars Electronica is the world’s most time-honored media arts competition. Winners are awarded the coveted Golden Nica statuette, prize money ranging up to €10,000 per category and an opportunity to showcase their talents at the famed Ars Electronica Festival in Linz. The open call dateline is this Friday, March 1st, 2019. You can only submit one work for one category but you can submit to multiple category. The Video Mapping Festival comes back in 2019 for its 2ndedition around 15 cities in the Hauts-de-France Region from March till August!The Festival aims to present video mapping in all its forms (monument, object, video game, immersive, interactive video mapping…) to the public and specialized people. The opening will be held in Lille on March 29th, 2019. There is also a conference, IBSIC 「 Image Beyond the Screen International Conference」to be held from March 28th-30th, 2019, where 35 professional speakers will share their experiences and analyze the various aspects of this new sector. Have a look at the festival if you are around the Hauts-de-France Region! An open call for participation in one of the biggest and most spectacular light art festivals in Europe, Bella Skyway Festival for its 11th edition. Every year in August, works of artists from around the world brighten up the Old Town of Toruń for 6 nights. Iconic buildings and locations of the city, as well as ordinary elements of urban space become part of light installations, projections and performances. This year, the festival will be held from 20th until 25th August in Toruń, Poland. Deadline for submitting your proposals: February 28th, 2019. If you have some questions, please contact Sylwia Nurkiewicz: s.nurkiewicz@tak.torun.pl. St. Petersburg International Festival of Light Art “Light Nights” in Gatchina calling for proposals! The festival will take place on 17th and 18th August 2019 in Gatchina Park (St.Petersburg). There are two nominations in the competition – light installations and video mapping. 1. The selection of projects by the jury. Please, send your applications to: contest@gatchinanights.ru. The world tour of Japanese Drum Art “DRUM TAO” begins in Russia ,China and France. The nineteenth edition of LPM Live Performers Meeting is from 7th to 10th June in the spaces of Ex Mattatoio in Rome. 10TH TO 12TH AUGUST 2018. The Kyiv Lights Festival 2018 will be held in May 18-20. The festival took place for the first time last year in Kyiv City, the Ukrainian Capital. It featured seven venues in the Ukrainian capital and twenty-five video designers from all over the world participated in the international 3D mapping contest. More than 200,000 Kyiv residents and tourists visited the KLF, undoubtedly making the festival Ukraine’s biggest art event with free admission in 2017. Now the entree for the KLF2018 has been opened. Please check the link below for details. In 2018 studios Dobro and Sila Sveta have started a joint project for King Abdulaziz Camel Festival in Saudi Arabia. More than 30,000 visitors attended live over one month of the festival operation time. Copyright © MAPPING WORLD.All Rights Reserved.